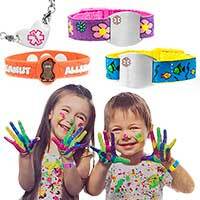 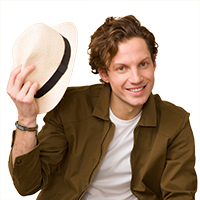 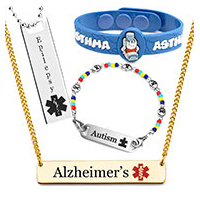 At StickyJ Medical ID, our focus is always on quality over quantity and it shows within the selection of personalized medical alert bracelets we offer for both adults and children. 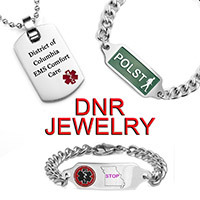 We can personalize your medical bracelets with your unique medical condition, the medications you take, any allergies you have, plus your emergency contact details to ensure your utmost safety. 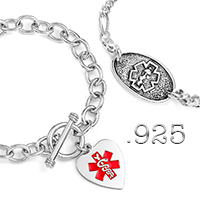 Many of our medical ID bracelets provide the option of two-sided engraving. 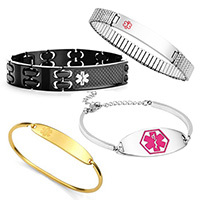 Our medical ID bracelets are stylish, comfortable, durable, and affordable. 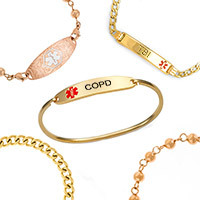 Shop our collections of medical ID bracelets customized for specific health conditions including Diabetes, Epilepsy, Asthma, Alzheimer's, Lymphedema, Allergies, and Autism. 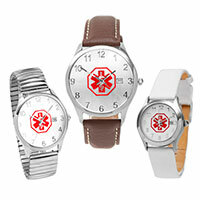 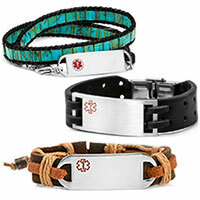 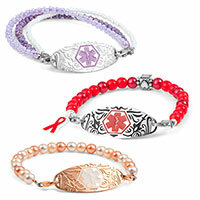 Some of our most popular choices for diabetic bracelets have been featured in the resourceful blog DiabetesMine.com. 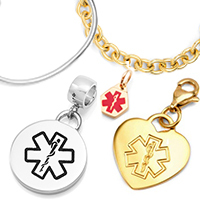 With the recent addition of our partnership with Backpack Health, you'll see a variety of medical alert bracelets that can be customized with a unique code to access your personal health record stored online for free.